Under-glaze, transfer printed blue and white ware was, and still is, a staple product of the UK pottery industry. 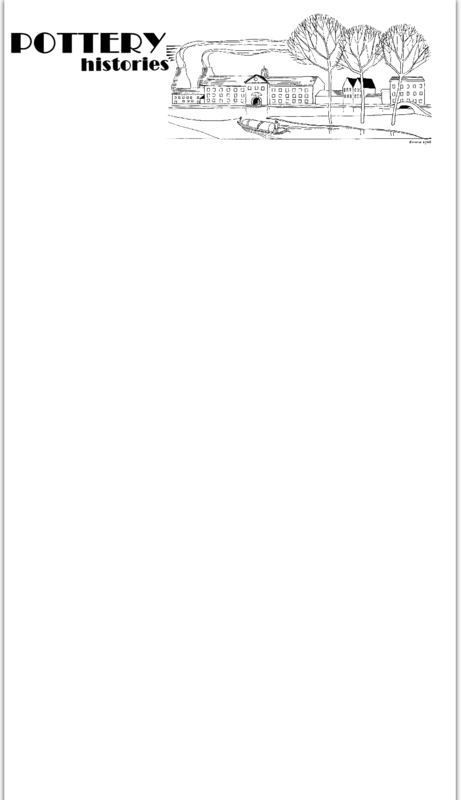 One of the most famous patterns is ‘ Denmark’ or ‘Blue Denmark’ produced by the business known as Furnivals Ltd and its successors. The pattern has a fascinating history. 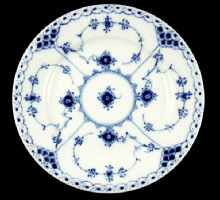 The Furnivals ‘Blue Denmark’ pattern is based on an original produced in Copenhagen, Denmark, in the 19th Century. Its origins, however are even older and tradition has it that the pattern was brought to Europe from China or Japan at some time in the late 18th Century. Frantz Heinrich Muller first produced the pattern at his pottery in Copenhagen at some time between 1776 and 1779. After establishing his pottery he travelled to Germany and recruited skilled workers from the Meissen factories. It is likely he also discovered and brought back what was to become known as the ‘Danish’ pattern. Other names have been ‘Denmark’, ‘Blue Denmark’, ‘Danish Pattern’ and ‘Mussel Pattern’. Muller was a chemist and his contribution may have been the development of the characteristic ultramarine blue used on the wares. 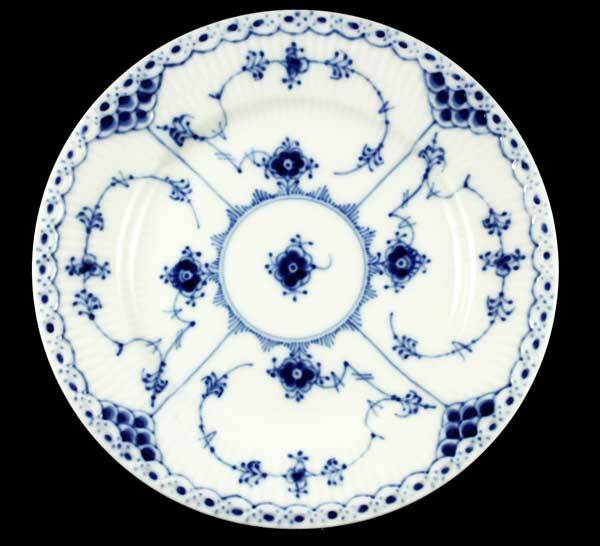 The pattern was immediately popular and when Muller’s factory was rescued by the financial support of King Christian VII and became the Royal Porcelain Factory of Copenhagen ‘Royal Copenhagen’, the ‘Danish’ pattern was central to its success – as it still is today. 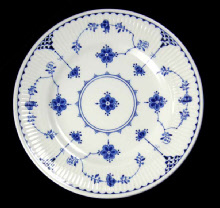 ‘ Furnivals were the most prominent of several Staffordshire potters to produce versions of the pattern based on the Royal Copenhagen original. Company records suggest that the pattern was produced from the 1850s and with virtually no modification to the pattern or shape was produced until the closure of the business in 1968. Furnivals (1913) Ltd was acquired by Barrett’s of Staffordshire Ltd in 1967 however shortages of labour frustrated Barrett’s plans for modernisation and expansion of the business and the factory was closed in 1968. The Furnivals name and some of its best known patterns, including 'Blue Denmark', were purchased by Enoch Wedgwood (Tunstall) Ltd (formerly Wedgwood & Co. Ltd) who continued to supply the market with the popular pattern - including the 'Furnivals' backstamp! Enoch Wedgwood was itself acquired by Josiah Wedgwood & Sons Ltd in 1980 and perhaps it is not a surprise that ‘Blue Denmark’ has been produced by at least two Waterford Wedgwood brands – Mason’s Ironstone China Ltd and Franciscan.